This week’s Website of the Week is slashfilm.com. This site offers a comprehensive range of reviews, news and criticism of movies, TV shows and related entertainment industry stuff. Includes Calendar of upcoming productions, Trailers as well as interviews, audio commentaries and even live broadcasts. The Cool Stuff tab features TV and Movie merchandise and related paraphernalia for the movie buff and serious collector alike. How much Do You Know About Australian Film and TV? Test your Australian film and television knowledge with Australian Screen Online’s Aussie Film Pop Quiz. australianscreen is operated by the National Film and Sound Archive (NFSA). The NFSA is the national audiovisual archive, collecting, preserving and sharing the nation’s moving image and recorded sound heritage. It is a promotional and educational resource providing worldwide online access to information about the Australian film and television industry. It also includes teachers’ notes that identify and describe the educational values of many of the film clips. These resources are developed in partnership with the NFSA by Education Services Australia through The Le@rning Federation. The site brings together material from the vast collections of the National Film and Sound Archive, the National Archives of Australia, the ABC, SBS, and AIATSIS in a unique collaboration. All material is made available with the permission of the copyright holders. The site is curated by experts, specially commissioned for australianscreen. For lots more Australian film and television resources visit our blog page here. Checkout the latest addition to our growing film resources page, Japanese Cinema. Here you’ll find tonnes of info and resources related to Japanese filmmaking, cinema, and Anime. From traditional Kabuki adaptations to the latest Japanese animated films. This week’s Website of the Week is What Happened In My Birth Year.com. This site is a fun way to find out what was happening in the year of your birth. It was created by Philipp Lenssen. You can Check out more of Philipp Lenssen’s web projects here. Just type in the year of your birth or any other year you want to find out about and this simple site will start scrolling out all the facts, figures, people and things that made that year and that decade special. Star Wars Day Today. May the Fourth Be With You! Today, May the Fourth, is celebrated worldwide as Star Wars Day. Check out he links below for a galaxy of info about the films, the characters and everything imaginable about the world’s most successful epic space opera franchise. 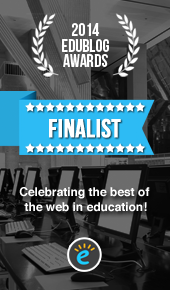 This week’s Website of the Week is TasteKid.com. The site attempts to match your interests in books, films and music with other compatible content. Try searching your favourite author, book, film or band and Tastekid will suggest other things that you might like based on the style, audience and genre. Give it a try. Year 8 students researched their favourite Books to film connections to create a poster. Why don’t you make your own using the template below. 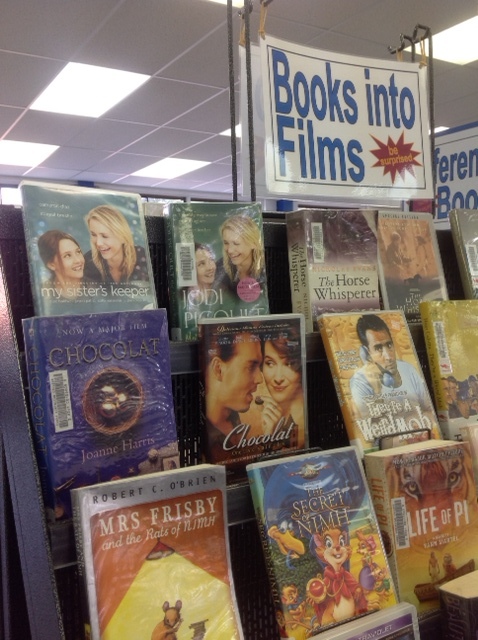 If you’re stuck for ideas visit our Books into Film page here. Our bigger Film page has hundreds more film resources to explore. Cabra College Book Week 2014 got off to a great start this week with many activities for both staff and students. Each morning students have had a two question quiz and we’ve been displaying Book Week posters created by staff representing their favourite films that were adapted from books. As is traditional staff were treated to an excellent Book Week Morning Tea in the Senior School Library. 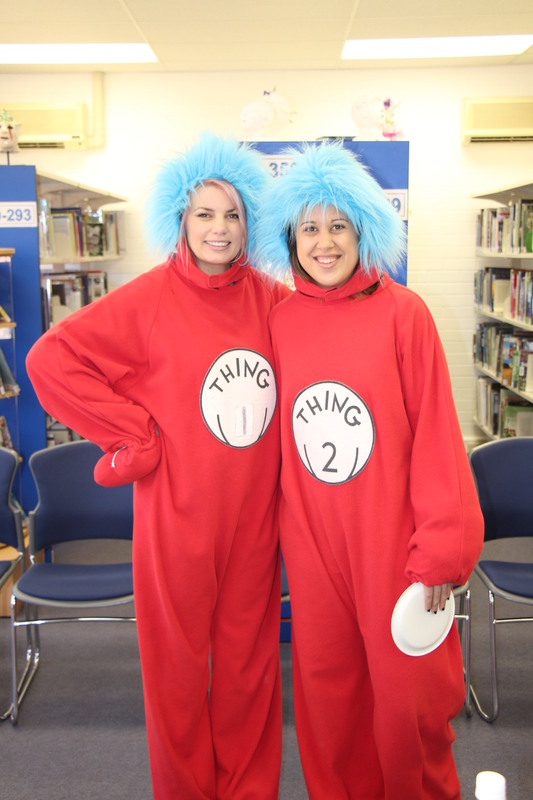 Some of the best dressed staff were photographed joining in with the 2014 Book Week theme, ‘Connect to Reading’. The Children’s Book Council of Australia Books of the Year for 2014.